This pack is a one stop shop for sequences that you can play by just hitting one key on your midi keyboard Controller while using Ni Massive. Yes, all your favorite sounding old school video game style sequence's all at just one finger tip. 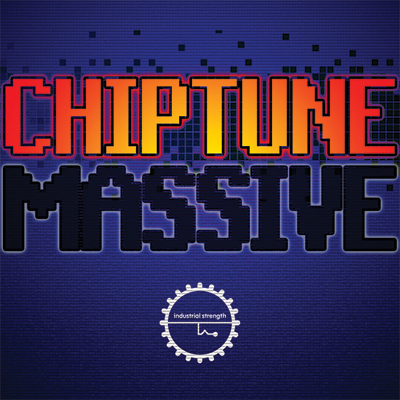 Chiptune Massive also rocks up a truly dark selection of dirty retro drum shots so you can program your own low fi drum patterns in any sampler with total control. The Bonus levels in this pack don't stop coming, we tilted this pack with a evil selection electronic vocal phrases, sound effects, Speak n Spell, tight drum loops and a really odd selection of low Fi analog sounds from our Studio Sound Vault here in Brooklyn Ny. If you want to get to the next level easier, this ISR production pack also includes Apple Loops and Battery4 kits for drop and rock performance while using these samples in these formats. If your looking for a upfront NI soundest of super tweaked video game style presets that you can play with one finger, plus a ton of off the chain samples Which work great with Dubstep, Glitch Hop, Drum n Bass and just about any EDM style out. Then you should head over to ISR's sonic arcade for your next production.